Police are investigating claims that unreasonable force is being used to restrain vulnerable patients on NHS wards, it emerged last night. The allegations surfaced after whistleblower David Ore told the Mail that hospital security guards were ordered to lock up elderly patients and children for up to 12 hours with no food or drink. 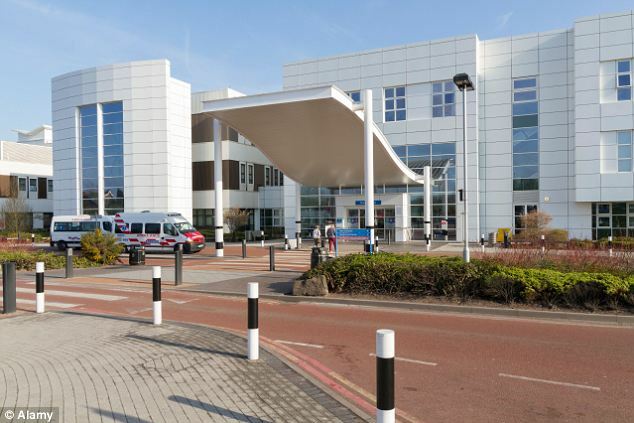 Now more claims have arisen, prompting a criminal investigation into the actions of staff at Dudley Group NHS Foundation Trust, which runs three hospitals. Mr Ore, a security manager at the trust, learned last week that he has lost his job – despite repeated assurances from Health Secretary Jeremy Hunt that whistleblowers will be protected at all costs. Last night, Mr Ore said he feared he had been blacklisted and could no longer work in the NHS. He added: ‘I have no faith that whistleblowers will be protected. The investigation against me can only be described as a witch hunt. ‘I doubt very much the culture of NHS trusts will ever be radically changed so those willing to stand up and be counted when things are wrong will be better protected. Mr Ore, 58, worked at the failing Russells Hall Hospital in Dudley, West Midlands, the largest Dudley Group hospital. He claimed elderly patients and young children were locked up simply for complaining. Almost every day, guards were told to hold patients on the floor, force them into rooms and hold the doors shut, trapping them for up to 12 hours with no food or drink, he said. Pensioners were restrained in this way simply for wanting to walk around a ward, he claimed. In May 2011, guards said they refused orders to restrain a child. They feared it would be illegal because the young patient posed no risk. The following year, a girl of 14 who was in care and alone was allegedly illegally detained. Guards said that although she was deeply upset, she was not violent. She was allegedly held against her will for 72 hours. Mr Ore repeatedly raised his concerns with bosses from 2010, saying he felt hospital practices breached human rights. He said patients had been restrained with no proper checks on the risk they posed, while elderly people were held for up to 12 hours as often as 80 times in 12 weeks. In November 2012, Mr Ore was suspended, then sacked five months later. He won an appeal but was ordered out again on ‘special leave’ in January. Bosses wrote to say this was because speaking out about the ‘alleged illegal restraint of patients’ put him in ‘a very difficult position’. 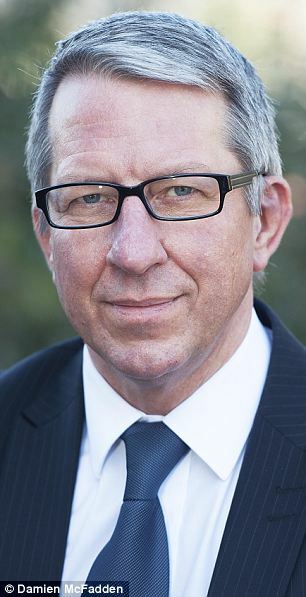 The Care Quality Commission watchdog started a probe of the abuse claims this year. But despite Mr Ore’s actions, patients continue to complain of being violently manhandled. West Midlands police began an investigation in April 2013. Some of the historic allegations were dismissed this month, but two new incidents from the past few months form part of an ongoing criminal investigation. Mr Ore was made redundant last week ahead of an employment tribunal. The hospital, which is also being investigated over high death rates, is believed to have spent more than £100,000 of taxpayers’ money on the case. 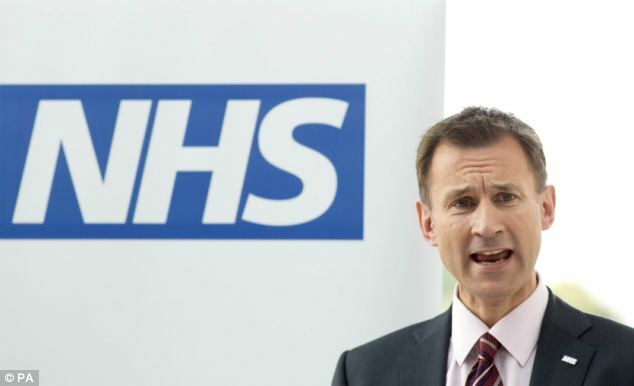 The Health Secretary has said a culture of ‘openness and transparency’ must be created to prevent a repeat of the Mid Staffordshire scandal, in which up to 1,200 patients died needlessly. He banned the use of gagging clauses, which stop staff raising their concerns openly. Mr Hunt has also made urgent changes to the NHS constitution as a result of the Mail’s coverage of whistleblower suppression. He enshrined the ‘right’ for staff to raise care concerns and set up a patient safety helpline. The Dudley Group denies Mr Ore’s claims, insisting he was accused of gross misconduct for ‘aggressive behaviour’ and parking in the wrong hospital bays. Chief executive Paula Clark said the police probe relates to new allegations.